Unbroken Studios have released a debut trailer and opened beta sign-ups for their upcoming post-apocalyptic battle royale game Fractured Lands. 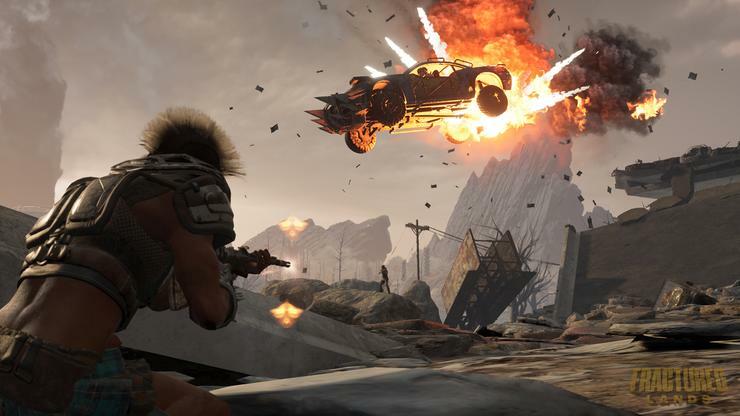 At a glance, the game looks like PUBG meets Mad Max: Fury Road. Like the former, it's a Battle Royale-inspired multiplayer first-person shooter where players fight to be the last-man standing. Like the latter, it's set in a dusty and rusty post-apocalyptic landscape where fierce vehicular combat is the order of the day. The company say that "Fractured Lands is an intense, drive-to-survive deathmatch where the sound of your heart pounding is drowned out only by the roar of a sea of engines." The company is inviting interested players to sign-up for the game's for the game's upcoming closed beta sessions, due to take place on the weekends of 8 June, 22 June, and 29 June. The announcement comes at an auspicious time for the genre, with PUBG Corp filing a lawsuit against Epic Games over the similarities between the world's two most popular Battle Royale games - Fortnite and PlayerUnknown's Battlegrounds - earlier this week. Interested players can register on the official website, fractured-lands.com.